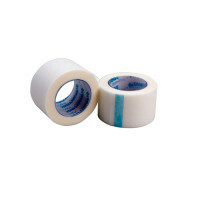 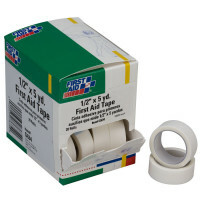 Adhesive First Aid tapes, whether transparent, cloth, or hypoallergenic, can be used for adhering small and large bandages; First Aid Tape can also help create pressure over a wound to free a rescuers hands for other first aid tasks. 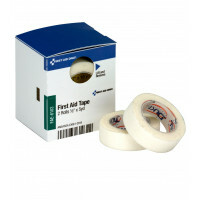 First Aid Tape is also useful for splinting, such as binding a splint to a digit or long bone. 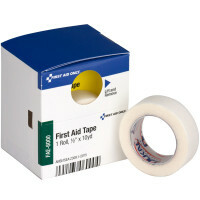 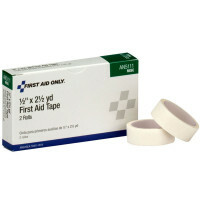 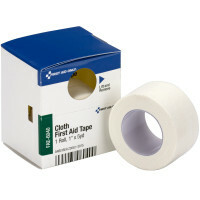 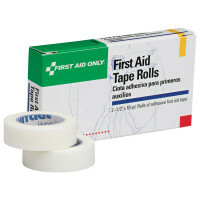 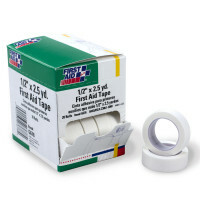 We recommend a 10-yard roll of one-inch wide adhesive cloth tape at minimum for a basic or family first aid kit.